Mitzy Sancho Flores was born in Costa Rica, 1969. She studied at Universidad de Costa Rica, UCR. In 1994 got the degree in Graphic Design, and in 2013 got the degree in Painting. Her work includes topics of gender, human figure, and nature. In 2010 she was awarded by UCR because she got the first place in the contest “Paisaje Universitario”. She is currently studying Engraving at the University of Costa Rica. 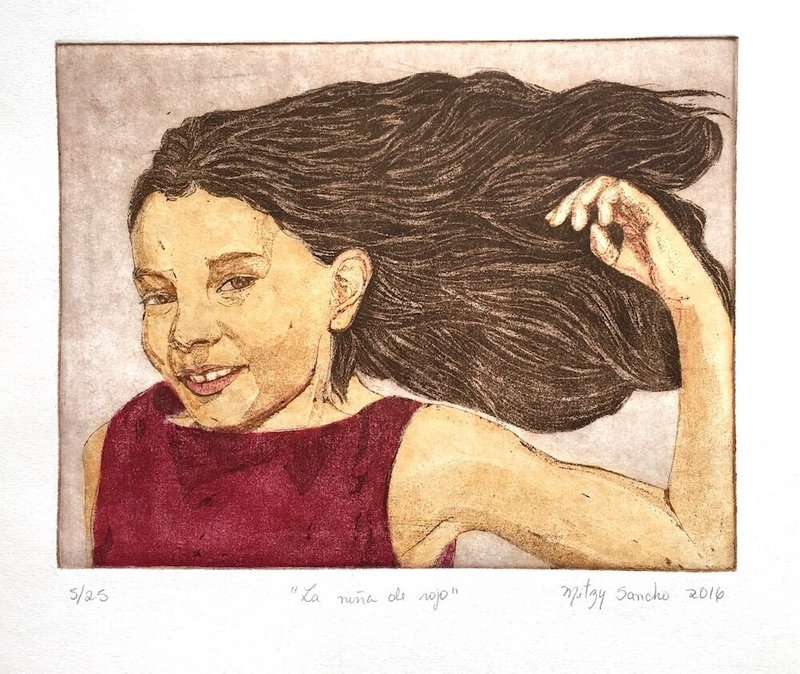 Printmaking events 2015: Exhibición Anual de la Estampa Artística, “Los suelos”. 2016: Huellas si Read Moremultáneas: La mirada de siete grabadoras contemporáneas, IX Exhibición Anual de Estampa Artística, “Los siete pecados capitales”. International Print Exchange.